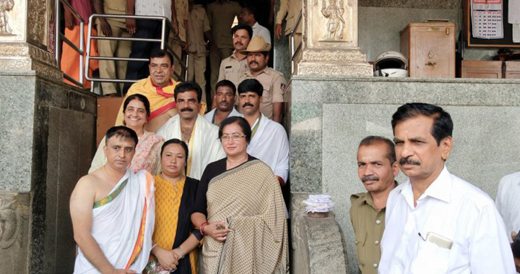 Mangaluru, Apr 02, 2019: Sumalatha Ambareesh, who is contesting as an Independent candidate from Mandya Lok Sabha constituency, visited Dharmasthala and obtained darshan of the presiding deity on Monday. Speaking on her namesake candidates, Sumalatha recollected a similar situation that had been created when Puttanayya had contested in the past. “I am not a stranger to such manipulations.The people of the state will identify me and exercise their franchise,” she said confidently.